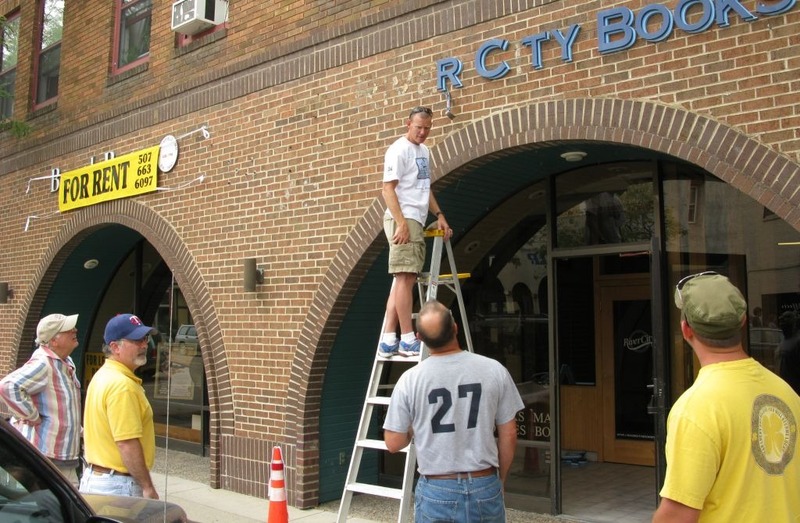 Tom Bisel was taking down the old River City Books sign on the Summa Building in downtown Northfield this afternoon. 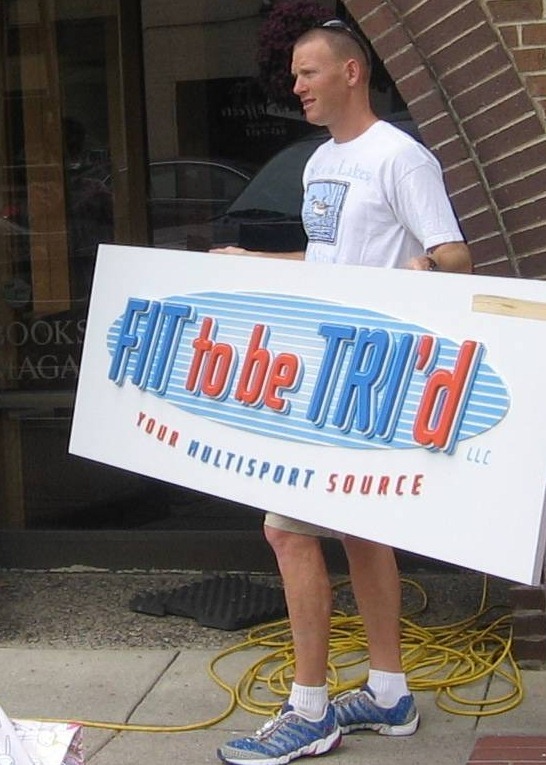 Tom is the owner of the new Fit to be TRI’d sporting goods store that’s soon moving into that space. The store will carry swimming, cycling, and running (triathlon, get it?) related clothing and accessories. Previous PostFirst day of school for Margit and Susan? No, it’s the Northfield Metro ExpressNext PostWhat’s with First National Bank Northfield’s promo graphic window display? Tom, best of luck with your new venture! 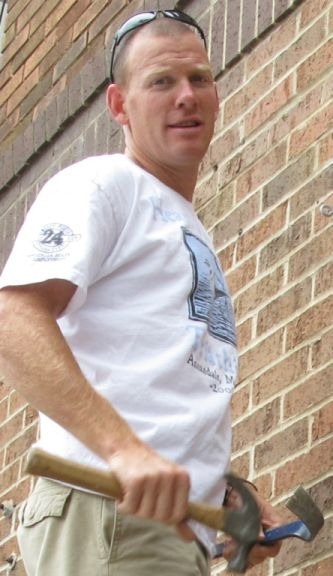 Hey Tom–are you going to carry Nike? I really liked your store. Keep bringing in those innovative products. FIT to be TRI’d’s lease on the 306 Division St. space will expire in September, but if the landlord finds another tenant, the business could move sooner. The renovations above the former Tiny’s Hot Dogs space could take up to a month to complete.